If you're like most developers using the RadControls for ASP.NET AJAX, you're probably using RadGrid, Telerik's flagship grid component for the standards-based web. RadGrid allows you to do some incredible things in web applications without requiring you to write much (or any, in some cases) code. At some point, we've probably all experienced how RadGrid can help you create a ASP.NET page with data display, paging, filtering, grouping, editing, and "pretty styling" in a matter of minutes. We marveled at its ease of use and its ability to make us look like "super" developers to our bosses and clients. But as any application (and developer) matures, your focus shifts from "create features fast" to "make the website as fast as possible." Fortunately, RadGrid can evolve with you. While the "codeless" approach allows you to maximize productivity, there are tons of techniques that you can employ to maximize performance. It's exactly that path towards performance optimization that we'll explore in tomorrow's Weekly Webinar. Join me at 11:00 AM Eastern, tomorrow, Thursday, October 1st for the first part of an in-depth look specifically covering RadGrid for ASP.NET AJAX optimization strategies. We'll set the stage for optimizing RadGrid and explore at least five optimization techniques that you can begin using in your projects today for improved performance. It'll be fast, but it'll be fun. See you in the morning! OutlookBar - a new UI component intended to provide functionality similar to (you guessed it) the panel bar in Outlook. And that's just the quick highlights. Stay tuned for more details, previews, and videos once the beta ships. You can already preview some of these controls on the Silverlight and WPF road maps. 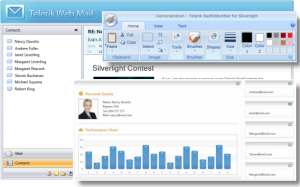 UPDATE: The betas for both WPF and Silverlight are now available for immediate download. Look for the "Beta version available" link under the WPF and Silverlight product downloads. Really, I expected the session to crash and burn. Not becuase I wasn't prepared or because I didn't have confidence in the topic, but because I had a "bad omen" on the way to Austin. In the middle of my trek from Houston to Austin, located in nowhere Texas, traveling at 80 MPH (129 kph, for the rest of the world), I blew a tire. Fortunately, my "fancy dancy" car quickly informed me of the tire pressure issue and I was able to put my mechanical skills to good use and change my tire in 15 minutes flat, but something "unexpected" like that just throws-off your A-game as a speaker. Are you in the Austin, Texas area? Got plans tonight? Break them. 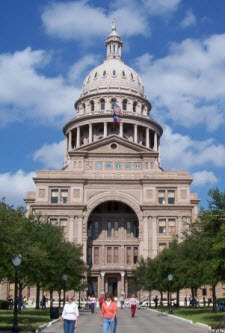 Very soon I'll be hitting the road and making the trek over from Houston to Austin to present at tonight's Austin .NET User Group meeting. I've been to Austin a few times this year to talk about various Microsoft technologies, but this time I'm focusing on my home turf: Ajax. 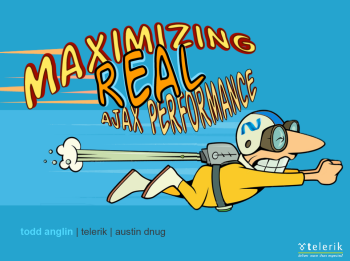 Specifically, we'll be talking about how you can (and should) maximize "real" Ajax performance in ASP.NET. "Real Ajax?" you say. Yes, real Ajax. If you're using UpdatePanels and you think you're using Ajax, think again. All will be explained at tonight's DNUG (and again at the Houston TechFest, DevReach, and DevConnections if you miss tonight's presentation). Things get kicked-off at 5:30 PM at the Microsoft offices in Austin. Check out the ADNUG website for all the details and directions. See you tonight! While Twitter only represents a small part of the overall developer community, it's still useful as way to get the "pulse" on a specific topic. It's especially interesting to watch the chatter after Telerik makes announcements. Will the modern Caesar "collective" of our time give Telerik a thumbs-up or thumbs-down? tommynorman: Very cool TFS tool from Telerik. And it is free! CalebJenkins: TFS WorkItem tools from Telerik look sweet! JasonBarile: The new Telerik TFS Workitem Manager and Project Dashboard betas are pretty cool. drub0y: Wow! 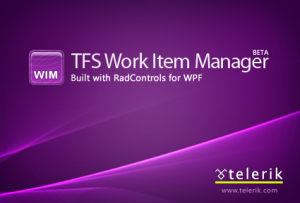 Telerik released AWESOME work item manager and dashboard apps (WPF based) for TFS... and they're FREE! Hot on the heals of our recent Extensions for ASP.NET MVC and TFS productivity application announcements, another major Telerik product announcement is waiting in the wings. We have been hard at work on this new product for a long time now, and we're very excited to introduce it to you and the world...but not yet. But we don't want to leave you with nothing until the grand reveal. So, we've created a little "guess the product" teaser for you that reveals a few "clues" about what the new product will be. Check out the teaser video now (it's only 30 seconds long...like I said, teaser) above or in full resolution on Telerik TV. Do you think you know what the announcement will be? Keep your RSS readers locked-in for the reveal in a few short weeks. Expanding on our growing line of tools for .NET developers, this week Telerik released two new productivity applications for Microsoft's Team Foundation Server: TFS Work Item Manager and TFS Project Dashboard. Oh, yeah...they're also both free! 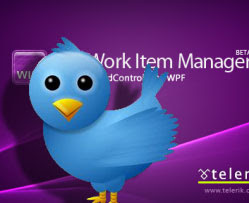 Work Item Manager - The WIM (as it's known) simplifies the process of working with TFS work items, eliminating the often "clunky" workflow that exists by default. With a single program, you can now easily create work items, query work items, easily sort/filter/analyze items, work with tasks on an innovative "task board" (similar to Scrum Dashboard, but for the desktop), and better visualize all TFS work item data. The tool is designed to be flexible and work with any TFS process template. Project Dashboard - This tool is all about visualizing TFS data. In fact, it's best used by having some dedicated monitor or TV screen in your development area that just runs the Dashboard where everyone can see it (it can auto disable screen savers and monitor power save settings). It displays things like latest TFS project activity, current iteration progress, project veolicity, and (my personal favorite) who broke the last build (with mug shot)! This is a great tool for managers, too, to easily keep tabs on TFS project status and health. Telerik has been a TFS shop for quite some time now, and we've been using both of these tools internally for the better part of the last 6 months. They have helped all teams in Telerik be more productive with their TFS management tasks and have helped really unlock the data in TFS, turning it in to helpful information. It works so well for us, we wanted to share it with you. You can download both of these tools from Telerik.com immediately and start trying them with your TFS projects. What do you have to lose? 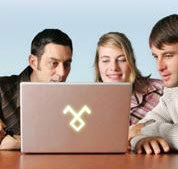 Enjoy the tools and stay tuned for more exciting announcements! Did you miss today's Weekly Webinar? If you did, you missed a fun event talking about the new open source Telerik Extensions for ASP.NET MVC. In an hour, we covered everything from the root reason web developers need somthing like ASP.NET MVC to how Telerik's Extensions work in Visual Studio to what you can expect in the next Extensions release. There was even a good Q & A session at the end of today's event, but that's a perk for those people that attend the event live (thanks, by the way, to all of you that joined me today!). If you want to catch the content on-demand, the recording of today's session is now on Telerik TV (and embeded above), so start it in the background and enjoy some Telerik MVC information. Meanwhile, Telerik is working hard to prepare some great MVC UI components for our Q3 2009 release, so stay tuned to Telerik Watch and the Telerik Blogs for more details very soon! For that, the RadControls provide a very robust client-side API. In fact, most methods and properties available in the server-side API are available under the same (or very similar) names on the client. That means you can increasingly do more of your programming on the client (moving data with web services) and rely less on the “heavy” server-centric model. RadTickerItems are rendered as SPAN tags in a parent "itemContainer" SPAN. The RadTicker object simply rotates through displaying the content of all child SPANs in the itemContainer. Removing or adding SPANs to this collection allows you to change RadTicker's contents. Related, the RadTicker object looks for specific SPAN IDs when rotating through items. Specifically, each TickerItem SPAN must have the ID "RadTicker1_i2"- where "RadTicker1" is the control's ClientID and "2" is the "index" of the item in the list of TickerItem SPANs. Using this same basic pattern, we can easily expand on this example to also replace ticker items and bind ticker items to web service data. Check out a live running example showing this client-side approach for appending, replacing, and web service binding RadTicker. NOTE: This is an undocumented client-side approach. RadTicker may (and probably will) provide a better API for doing this in the future. Use this approach in the mean time if you need to change RadTicker on the fly. Also note, if you do POST the page, your client-side changes will be lost. Hopefully this tip will help you fully embrace client-side programming in your rich, standards-based web applications. The fully-commented code for this live demo is available for download below. Enjoy!